Brian Hull rose to fame one fateful day when he decided he really wanted a Disney Store gift card (who wouldn’t?). He uploaded a video of himself doing Disney character impressions while singing Let It Go. and the rest, as they say, is history. 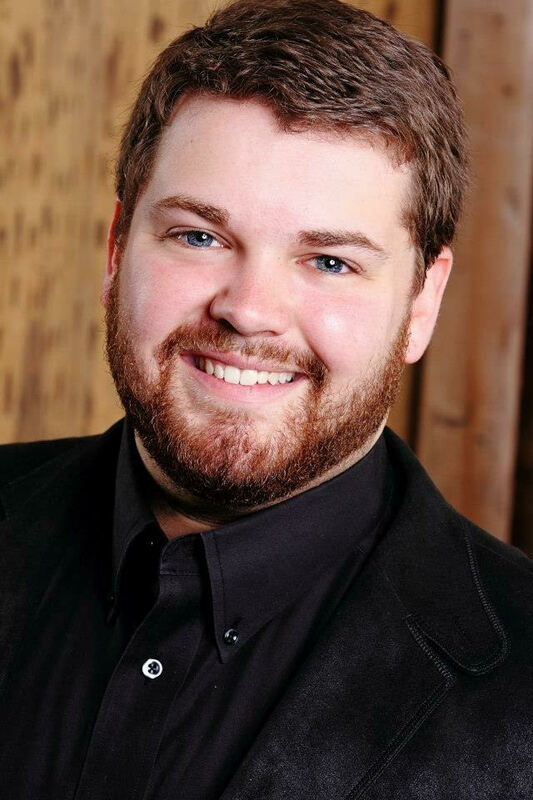 Pop City Life chatted with Brian about how he first discovered his talent for vocal impressions, having a new career overnight, and what he’s most excited about experiencing at this weekend’s D23 Expo. Greetings from New York! Thank you so much for chatting with me today. Let’s start at the beginning: When and how did you first discover you had this talent? Because you are really, really talented and accurate when it comes to these vocal impressions. 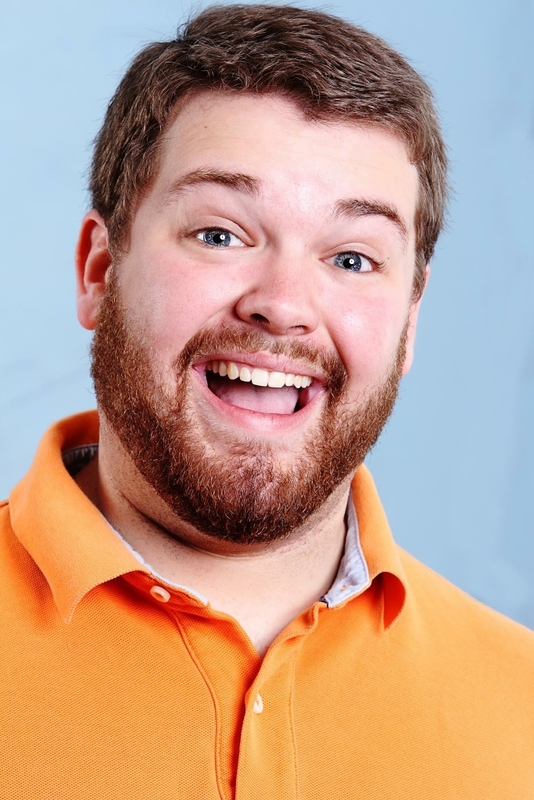 Brian Hull: Well, thank you! I found out about it strictly because I love these TV shows and movies and cartoons so much that I’d watch them all the time and had most of them memorized. I remember watching an episode of Full House and saw the character Joey Gladstone doing a bunch of cartoon impressions. I thought, “What’s stopping me from doing that?” I heard him do Scooby Doo, I gave it a shot, and… [Scooby impression]. *laughs* I was not expecting Uncle Joey to be your inspiration. That’s awesome. I owe a lot to Joey. Your YouTube career started when you entered a contest for the Disney Store, right? Did you end up winning? I actually missed the deadline to submit it. Aw man, I would love to run around the Disney Store with 100 dollars. What were you gonna buy? I love Saving Mr. Banks. It’s one of my favorite movies. Did you ever expect your career to get to this point and take off the way that it has? Never. That whole Let It Go video… I never expected anyone to watch it. I thought maybe five people who were in the contest might. I was definitely wrong on that. It’s crazy that something so unexpected and amazing came from that. Literally overnight I had a new career that I never expected I would have. Everything changed literally overnight. It was really crazy. How do you approach learning a new voice? What’s your process for that? The first step in my process is research. You go through and watch as much as you can of this character, and learn how they act and think and feel. Half of doing an impression is sounding like it, and the other half is acting like the character. I found it’s really important to know the character first, then you go in and start playing around with the voice. So you start listening for major things like, “Is it a high voice or a low voice?” Then you start adding little details on top, like, “Is their voice a little gruffer? Is it a little more nasal?” You just kind of put piece after piece on and then you’ve got the voice. You really do embody every little thing about each character. It’s really impressive and wonderful to watch. *laughs* Do you have a favorite voice to impersonate, and one that’s the hardest? I’m surprised. You do Winnie The Pooh so perfectly. I did not think that was gonna be the hardest. [Pooh voice] Oh, well, I thank you so very much. *laughs* I’m officially flustered. Is there a voice that you would love to tackle someday that you haven’t yet? I know right now I’m currently working on trying to get some of the Muppets. I have some of them down. I’m working right now to get a couple more. Fozzie’s been giving me issues. I’m still working on him. I feel like everyone else, like I do, turns to mush when you do a voice like Winnie the Pooh or Gaston. I remember when you first did that one and I was like, “What? Where did that come from?” Most recently, I was watching your Pinocchio voices video, and I have to say, I love your Jiminy Cricket voice. I think you do it really well and it brought such a smile to my face because just in general, in life, I think Jiminy is underrated and underutilized. Oh, yeah. I mean, c’mon. He sings the classic song, When You Wish Upon A Star. I try to bring him out when I can. And also, I gotta give you props on your Figaro. A+. You most recently released a collaboration where you and Traci Hines sang A Whole New World and then took on every character in the Belle sequence of Beauty and the Beast. How was that experience for you? Was it challenging and fun? Yes, it definitely was. I already had done something similar like that before on my channel with a different person. This one was challenging for a different reason. No. 1, I had to do different voices and make it different from my first performance. There’s an added layer on top with just the way we shot it. She wanted to do all these costumes, and if you watch my channel, you know I rarely do anything with costumes. But if you work with Traci Hines, you know that’s what she’s known for. It was fun. I got to help bring some voices out of her that she didn’t know she could do. She helped me with the clothing and the costume pieces. It was fun learning each other’s world as we were going through this. I about lost it when you showed up as the sheep and ate the book. You had every mannerism down, every little thing that I myself love about that scene. It was great. Thank you. That was the scene we were looking forward to the most when we started this collaboration. She was just like, “I want you to be a sheep.” And I was like, “That is the most perfect thing I’ve ever heard.” We were excited about that. YouTube is a kind of community where it seems like everyone enjoys helping each other out and working together. Do you enjoy meeting other people like yourself and collaborating with them? Absolutely. It’s fun to make videos as a career in general, but when you get to work with someone else who shares some of the same passions that you do… it really just makes it so much more fun. Even if we’re not doing anything big, it’s fun to just go and hang out. Recently, a bunch of us Disney YouTubers went to Disneyland together. I think Thingamavlogs posted a video about it. It was Thingamavlogs, myself, Traci Hines, [and] Chris Villain. We just went and had a great day and got to nerd out and be Disney nerds together. It was a lot of fun. I was hoping to talk a little about D23 this weekend. What can your fans expect, and what do you have planned for your appearance? 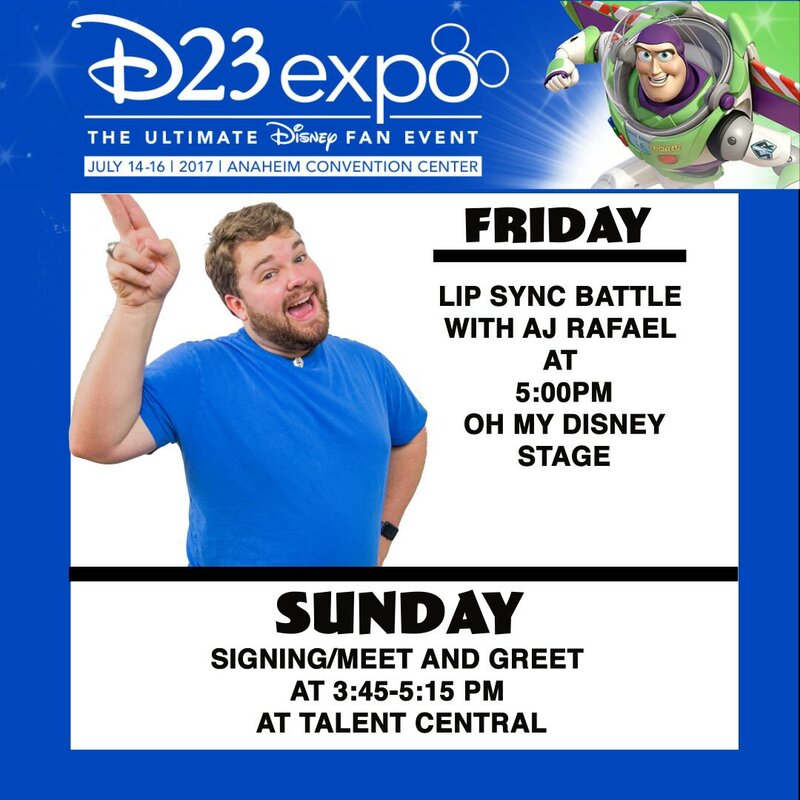 I’m going to be doing a lip-sync battle with AJ Rafael over at the Oh My Disney booth [on Friday]. This will be my first lip-sync battle, so I’m really excited to see what we can do, especially since it’s Disney-related. I’m sure I can think of some fun stuff to do to bring out the Disney nerd in everyone. Other than that, on Sunday we have a good old-fashioned meet and greet. Everyone can come and say hello, hang out for a little bit, sign some autographs. I expect to do a lot of impressions while I’m there. It’s like the ultimate practice. Absolutely. Other than that, as a Disney nerd myself, I’m just excited to go and see some of the panels and just nerd out along with everybody else. What are you most looking forward to seeing and experiencing as a fan yourself? I’m so excited about any rumors or announcements that might be confirmed and coming out this weekend. Yes. There’s been so many rumors, especially about the parks. That was my next question! There’s so many rumors about the parks. Things going on in Disney World, Disneyland. There’s rumors that both are supposed to be getting a huge overhaul. We’re so excited to finally get all the official news on that. I’m a little nervous, but I’m excited to see what the expansions and the changes might be. Tower of Terror is my favorite ride so I’m afraid for them to touch it, but I would fly to Disneyland to try the new one. The one in Disney World, the Tower of Terror there is better than ours, anyway. We still have the best one, it’s just we get an additional Guardians of the Galaxy at Disneyland too. You’ve encouraged your fans to write you letters and send them to your P.O. Box. Have you been enjoying that experience so far? So far it’s been really great. It’s one thing to see somebody comment on a video like, “Oh, that was cool,” or “Oh, I love that voice.” It’s another thing for someone to actually write you a letter. You finally get to know what your work means to other people. It’s enough to say look, this person thought so much of what you do online, they wanted to sit down, write you something, send you something, and they went out of their way. It’s very special to see your work has made such an impact on somebody that they want to do something above and beyond like that just to let you know. A few of the letters have really touched my heart and just, wow, I didn’t know my videos meant that much to people. It’s really just a way to understand what people want from you and what they love and what you can do to enhance that and make the videos and make that work better. I think you really have a gift and you were put here to touch people and give them happiness. It’s very special. What else are you working on? What’s coming up for you that your viewers can look forward to next? Right now, I don’t want to give too much away. I am working on a new song cover that will bring you back to everyone’s favorite duck-themed show from the ’80s and ’90s. That’s coming out pretty soon. Everyone’s been wanting me to do the Alphabet Aerobics. I can say I’ve got one in the works right now. We should get John Ratzenberger on the line and get you into the next Pixar movie too while we’re at it. I was actually in a movie with John Ratzenberger! What?? Now we’ll have to call him back to do another one. Why not? *laughs* You’re awesome, Brian. Again, thank you so much for chatting with me today. I love the videos of you doing the impressions to the characters at the parks. So just as a fan, this was great. Thank you so much. No problem! Just to let you know, I actually have another Disney World impressions video coming out on Friday, so you can be looking for that too. Thanks so much to Brian Hull for chatting with us! We encourage you to check him out on YouTube, Twitter, Instagram, and Facebook. If you’ll be at the D23 Expo this weekend, you can catch Brian on Friday, Saturday, and Sunday. Great interview. It’s nice to hear another fan of Brian asking him new questions as opposed to other reporters that ask the same questions that he has answered multiple times. Thank you so much!! I tried my best. I think the best journalism comes when there’s a lot of heart behind it and all of us here at PCL are big fans of Brian and his talent. Thank you for reading!